The special NIA court in Mumbai on Wednesday refused to discharge Pragyasingh Thakur, Lt Col Prasad Purohit and other accused in the 2008 Malegaon blast case which led to the death of seven and injured over a 100 people. Three others accused in the case -- Shyam Sahu, Shivnarayan Kalsangra and Praveen Takalki -- have been discharged. Special Judge SD Tekale dropped all charges under the Maharashtra Control of Organised Crime Act, 1999, against all accused. 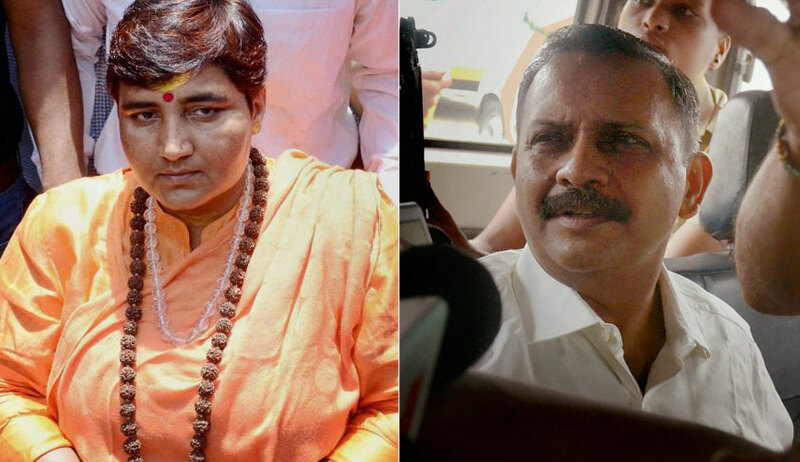 Sadhvi Pragyasingh Thakur, Major Ramesh Upadhyay, Sameer Kulkarni, Ajay Rahirkar, Lt Col Prasad Purohit, Sudhakar Dwivedi and Sudhakar Chaturvedi were charged under sections 16 (committing a terror act) and 18 (criminal conspiracy) of the Unlawful Activities Prevention Act, 1959, and sections 120(b) (punishment of criminal conspiracy), 302 (murder), 307 (attempt to murder), 326 (intentionally causing harm to others), 427 and 153 A (Promoting enmity between groups) of the IPC, and Sections 3, 4, 5, 6 of the Explosive Substances Act, 1908. Two other accused in the case - Jagdish Mhatre and Rakesh Dhawde - will only face trial under the Arms Act. The court has directed all the accused to remain present during the formal proceedings of framing of charges in the case which is set to take place on January 15, 2018. The order of dropping the MCOCA charges in the case is significant since the Maharashtra Anti-Terrorist Squad had originally charged the accused under the MCOCA in its charge sheet, it was only after the National Investigation Agency took over the probe in April 2011, that MCOCA charges against the accused were dropped in their supplementary charge sheet.